Pianist Shai Wosner has attracted international recognition for his exceptional artistry, musical integrity, and creative insight. His performances of a broad range of repertoire – from Beethoven and Schubert to Ligeti and the music of today – reflect a degree of virtuosity and intellectual curiosity that has made him a favorite among audiences and critics. This season, Mr. Wosner continues his career-long, critically acclaimed engagement with Schubert’s music in his latest recital series Schubert: The Great Sonatas comprising the composer’s six final sonatas, which he describes as “thick novels, rich with insight about the human condition.” Recitals take place at the Konzerthaus in Berlin, and include a residency at Cal Performances in Berkeley as well as appearances in Buffalo, Fresno, and Cambridge (MA). He also performs works from his latest solo recording, Impromptu (Onyx Classics) featuring an eclectic mix of improvisationally inspired works by composers from Beethoven and Schubert to Gershwin and Ives in St. Paul and elsewhere. His concerto performances include appearances with the Detroit and Toronto Symphony Orchestras (Mozart’s Concerto No. 21); the Jerusalem Symphony Orchestra (Brahms’ Concerto No. 2), and the Alabama and Wichita Falls Symphony Orchestrad, Musikalische Akademie of the National Theater Orchestra Mannheim, and Syracuse’s Symphoria (Schumann’s Piano Concerto). His chamber music collaborations include a six-city U.S. tour with Orion Weiss playing works for 4-hands and two pianos by Schubert and Brahms with David Lang’s companion pieces gravity and after gravity ; performances with the Emerson Quartet for CMS of Lincoln Center; New York Philharmonic musicians at David Geffen Hall; cellist Stephen Isserlis and violinist Laura Frautschi as part of Orpheus Chamber Orchestra’s Twilight at Tarisio series; and a Bridge to Beethoven concert with violinist Jennifer Koh on Baltimore’s Shriver Hall Concert Series. In addition to Impromptu , Mr. Wosner’s recordings for Onyx include concertos and capriccios by Haydn and Ligeti with the Danish National Symphony conducted by Nicholas Collon; solo works by Brahms and Schoenberg; works by Schubert, both on a solo recording and paired with new commissions from Missy Mazzoli; and Beethoven’s complete works for cello and piano with Ralph Kirshbaum. He also performs Bartók, Janáček, and Kurtág on a recording with Jennifer Koh for Cedille. 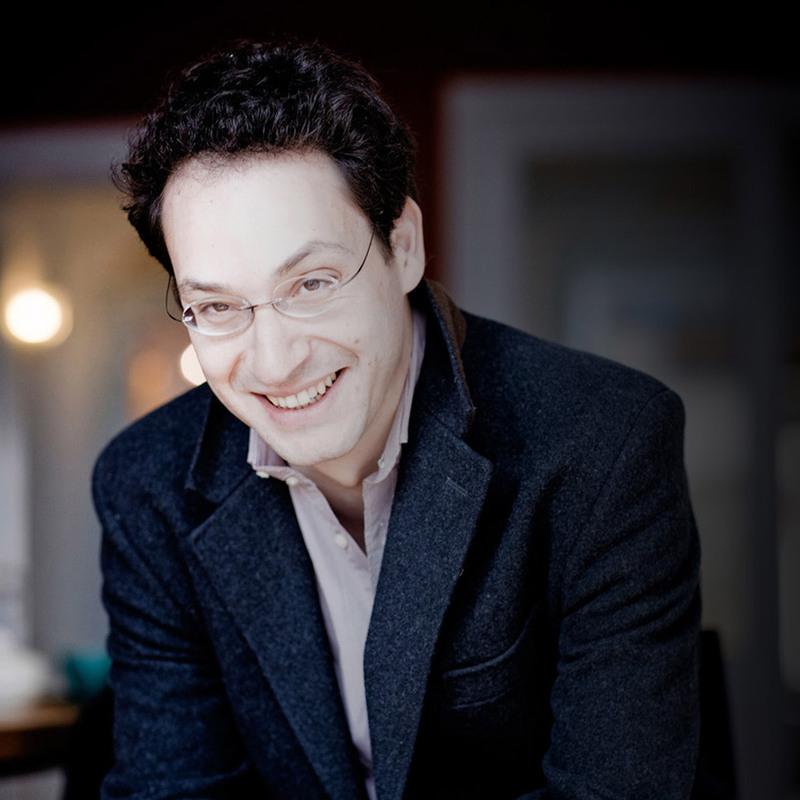 Mr. Wosner is a recipient of Lincoln Center’s Martin E. Segal Award, an Avery Fisher Career Grant, and a Borletti-Buitoni Trust Award – a prize he used to commission Michael Hersch’s concerto Along the Ravines , which he performed with the Seattle Symphony and Deutsche Radio Philharmonie. He was in residence with the BBC as a New Generation Artist and is a former member of Lincoln Center's Chamber Music Society Two. For several summers, he was involved in the West-Eastern Divan Workshop led by Mr. Barenboim and toured as soloist with the West-Eastern Divan Orchestra. In the U.S., he has appeared with the orchestras of Atlanta, Baltimore, Berkeley, Chicago, Cleveland, Dallas, Indianapolis, Los Angeles, Milwaukee, Philadelphia, Pittsburgh, and San Francisco, and St. Paul and Los Angeles Chamber Orchestras. He has also performed with the Barcelona Symphony, Bournemouth Symphony, Frankfurt Radio Symphony, Gothenburg Symphony, LSO St. Luke’s, National Arts Centre Orchestra, Nieuw Sinfonietta Amsterdam, Orchestre National de Belgique, Staatskapelle Berlin, and the Vienna Philharmonic, among others. Born in Israel, Mr.
Wosner studied piano with Opher Brayer and Emanuel Krasovsky, as well as composition, theory, and improvisation with André Hajdu, and at The Juilliard School with Emanuel Ax.